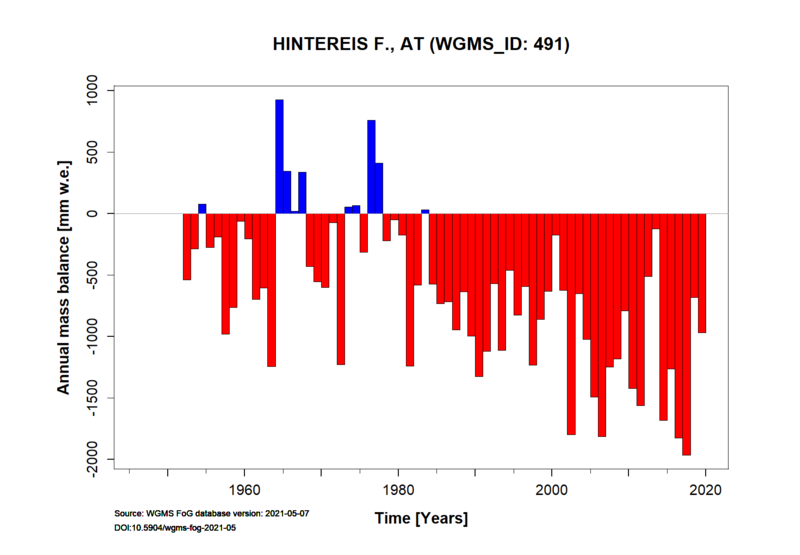 Hintereis Ferner Glacier is a valley glacier situated in the Eastern Alps of Austria. 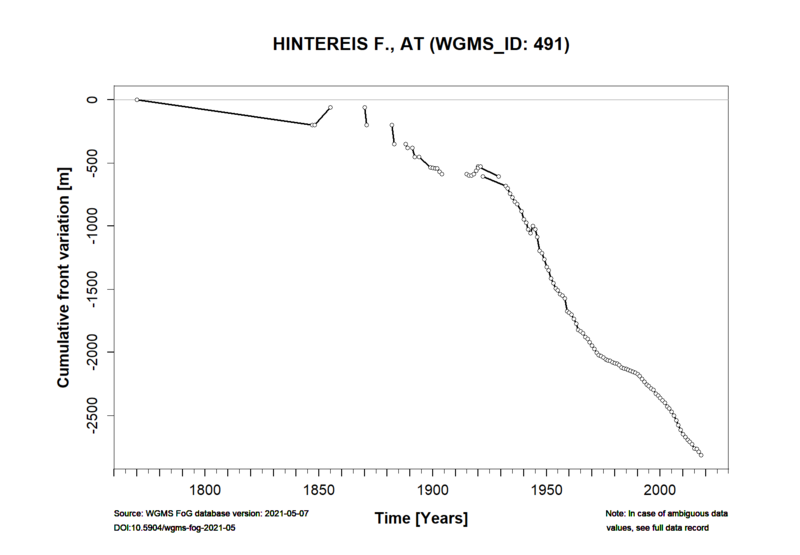 This glacier has been classified as one of the ‘reference glaciers’ by the World Glacier Monitoring Service because it has received continuous long-term observations dating back to the year 1952/53. The tongue of the glacier is located in a northeast-orientated valley and the firn area faces north, east and south. 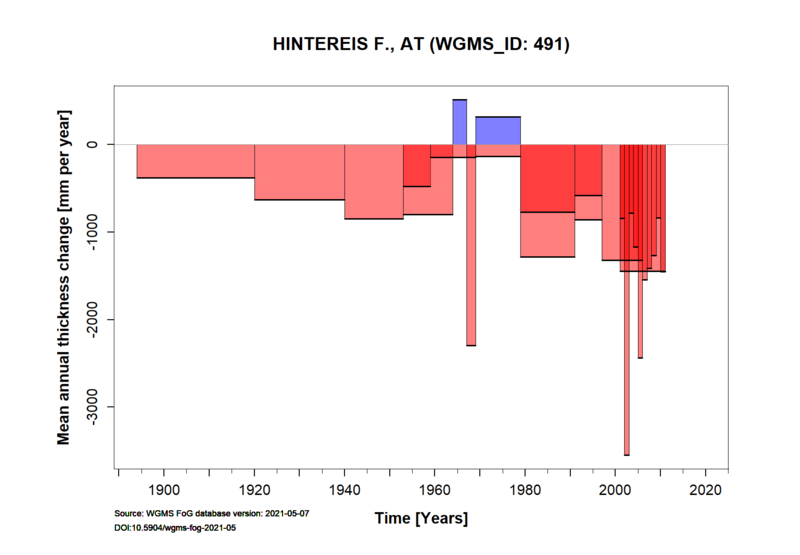 The mean air temperature (1906-2005) measured at the climate station Vent (1906 m a.s.l) was -1.6 °C and the mean annual lapse rate is 0.57 °C/100 m. For additional information on the status of the glacier and on data relating to annual mass balance and other measurements, visit the WGMS Fluctuations of Glaciers Browser. Height min: 2507 m a.s.l. Height max: 3739 m a.s.l.